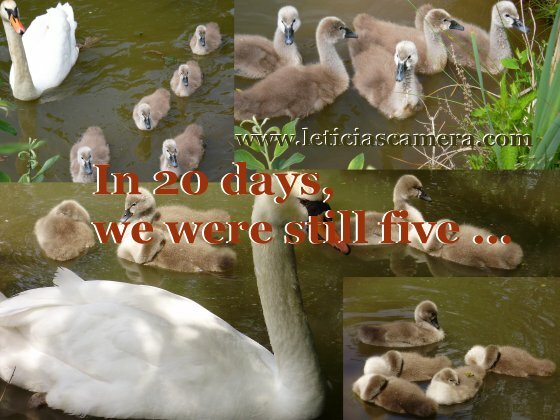 Yes, ... it is a tragic growth of this year's birth that you can see direct in your eyes ... how do you feel about it? As we have touched it already ... how does the animal kingdom differs from the human kingdom? does it differs a lot? 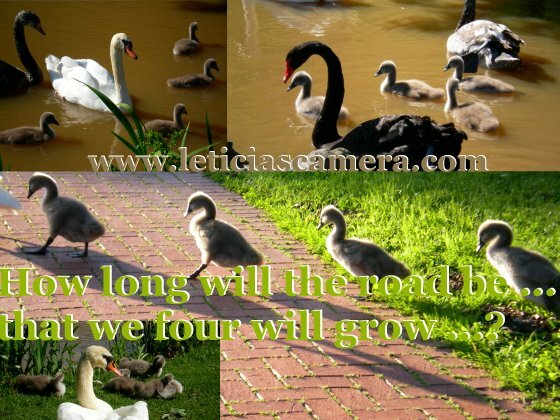 The true story started after 20 days ... after the thunder and storm ... one baby swan is gone ... four of them is left as you can see above in the photos ... how long will the road be ... that the four babies will grow ... in the kurpark of Bad Zwesten?